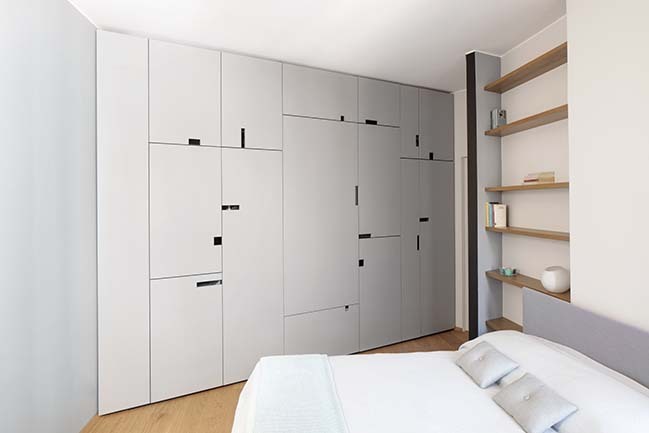 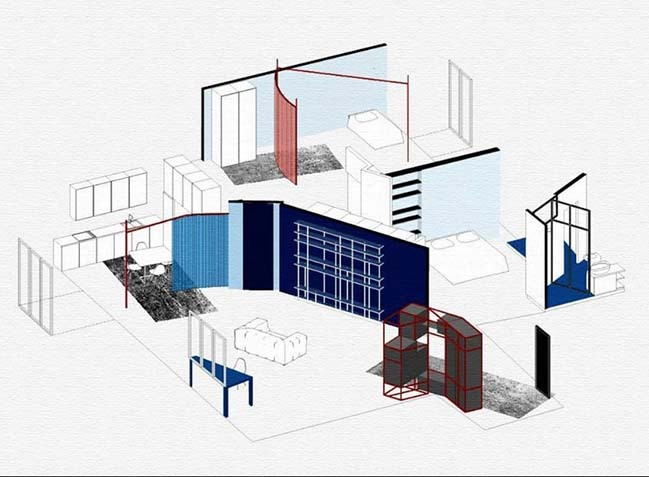 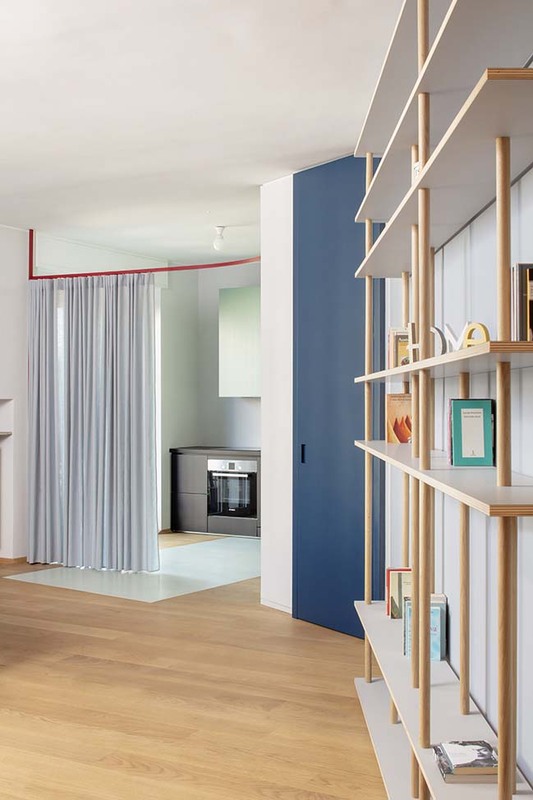 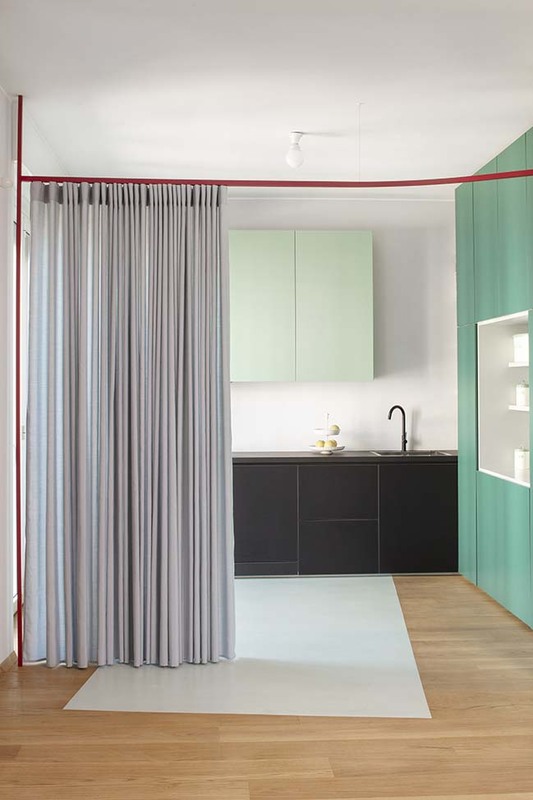 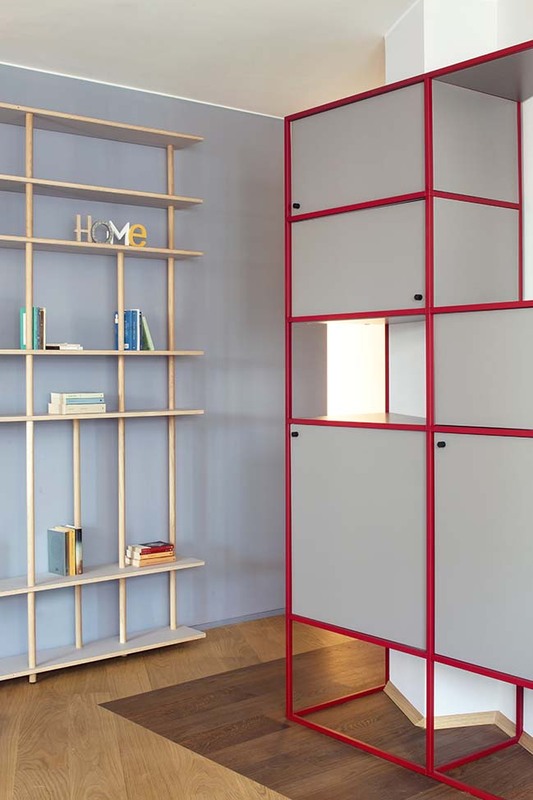 The project concerns the renovation of an apartment for a new family in the center of Milan. 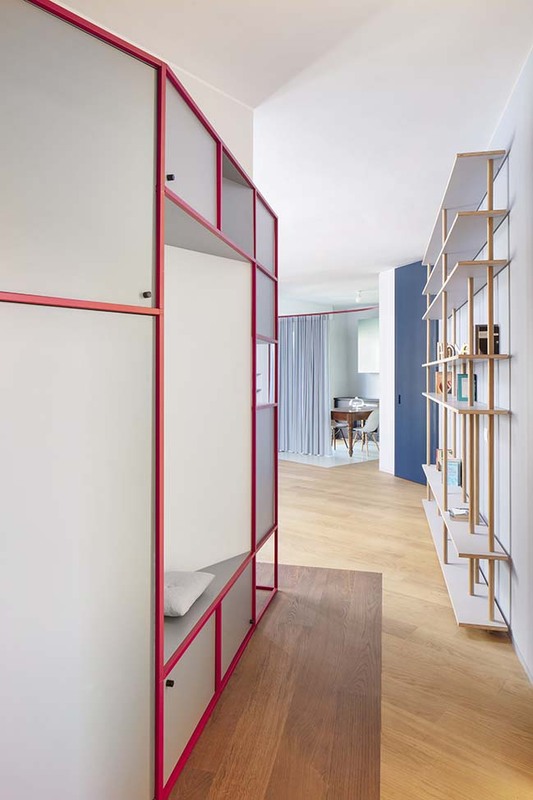 The residence is characterized by a "free" layout in which the partition walls are treated as "sheets" that fold in plan and section according to the characteristics of the different rooms. 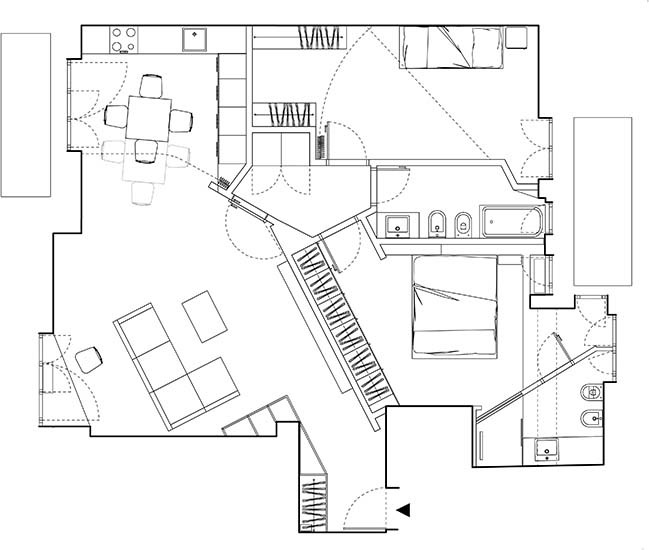 From the architect: The space was intended as a big single room in which the walls define areas, and suggest ways of use, always different. 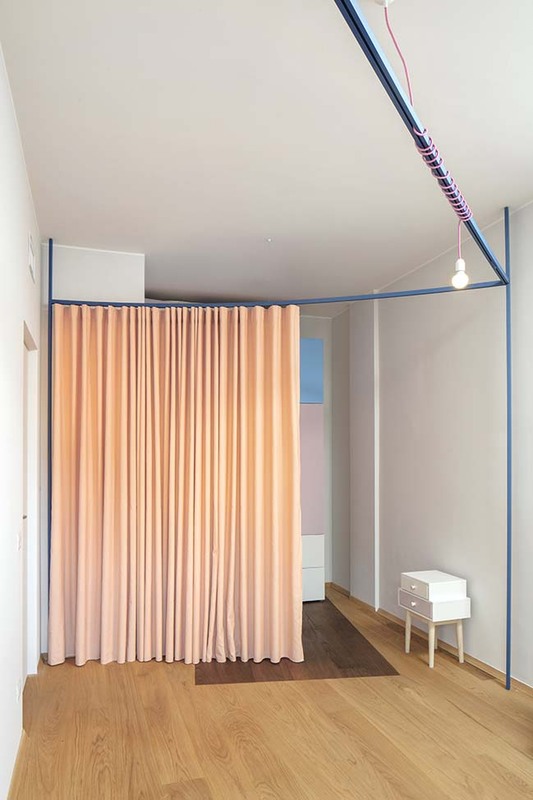 The use of curtains, in the living area and sleeping area, also makes it possible to perceive the space subdivisions as flexible elements that can always be modified over time. 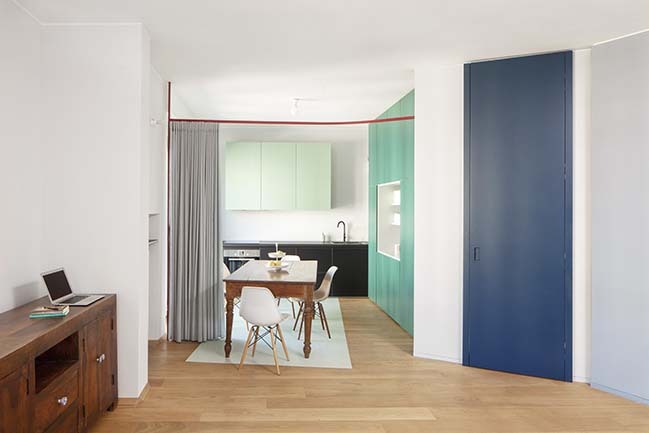 The floor was designed with a large oak parquet surface in which the inlays in different wood essence (walnut) or in resin are capable to underline different spaces, like a sort of large carpets. 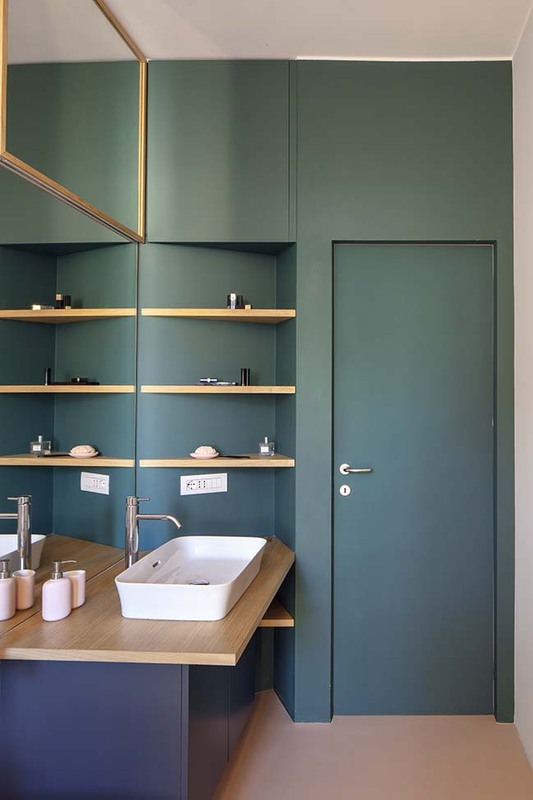 The study of color emphasizes the strong character of every room, identifying the various spaces with different colors capable to underline the different lighting of each room. 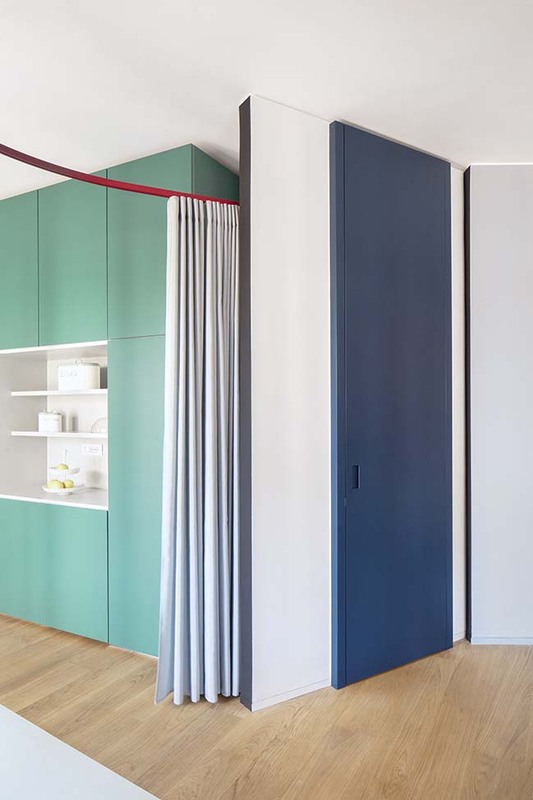 Within this process, the project involves the study of many custom-made furniture (as the kitchen, the living room, the entrance, or the rooms), perfectly integrated with the project’s spaces.